Revel in the creaminess of this Cheesecake Mousse, which uses real cream cheese and has no added sugar or gluten. Pour ¾ cup (6 fluid ounces) very cold skim milk into a mixing bowl. 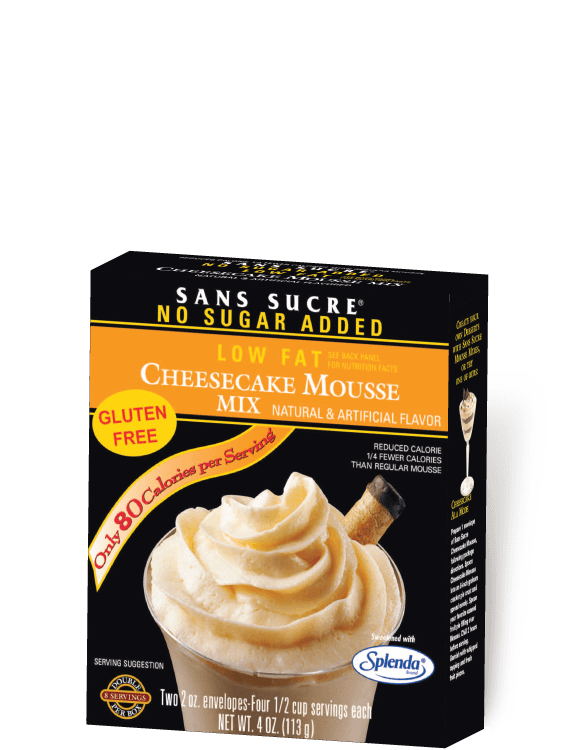 Add the contents of 1 envelope of Sans Sucre Cheesecake Mousse. Using an electric mixer, blend on lowest speed until mix is blended. 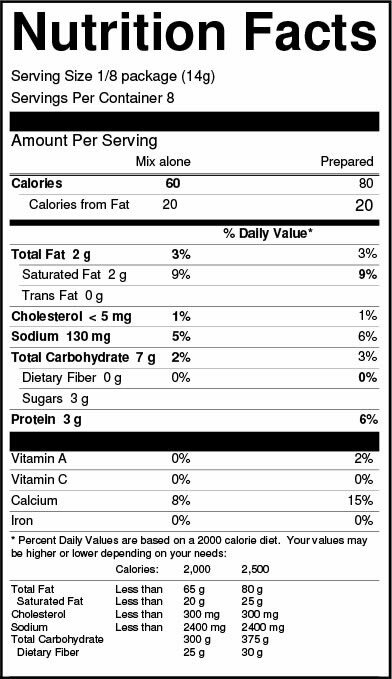 Ingredients: Nonfat Dry Milk, Whipping Base (Partially Hydrogenated Palm Kernel Oil, Maltodextrin, Propylene Glycol Esters Of Fatty Acids, Sodium Caseinate, Acetic Acid Esters Of Monoglycerides, Dipotassium Phosphate, Microcrystalline Cellulose, Hydroxypropyl Methyl Cellulose, Mono And Diglycerides, Sodium Aluminosilicate), Maltodextrin, Cream Cheese Blend (Bakers Cheese [Nonfat Milk Solids, Lactic Acid, Culture], Cream Cheese Solids, Disodium Phosphate), Modified Corn Starch, Calcium Caseinate, Tetrasodium Pyrophosphate, Natural And Artificial Flavor, Sucralose, Yellow #5 And #6. Note: Cheesecake contains naturally occurring lactose from the milk in the cream cheese.